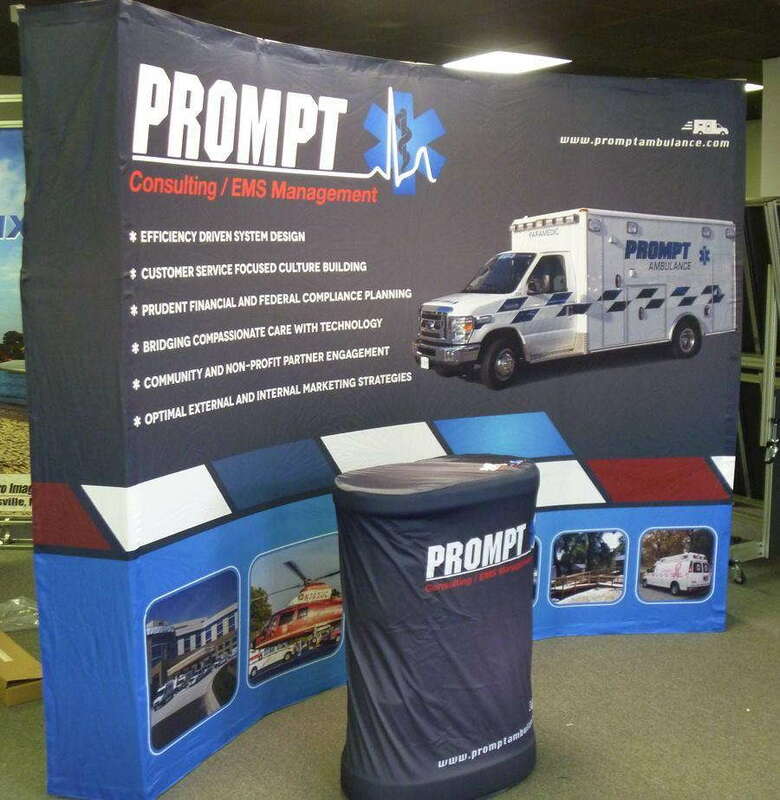 It can be a trying process to create a pop up trade show display that’s functional, durable and professional, but SpeedPro Imaging Madison is up to the challenge! We’ve helped more than 500 local businesses through Madison, Middleton and Sun Prairie in the last decade or so, and we’ll gladly make you the next one. We partner with the nation’s biggest large format graphics provider, so we can back up our 25 years of combined experience with access to state-of-the-art printing technology and top-tier resources. If you’re a product-based business, taking your goods on the road to trade shows, expos and festivals is a vital part of your marketing strategy. People need to recognize who you are, and an identifiable portable trade show display will help with accomplishing that endeavor. Every graphic and accessory you select should be lightweight, easy to set up and travel-friendly, which is what we aim to provide. Our product catalog allows for such, as it’s expansive and varied. 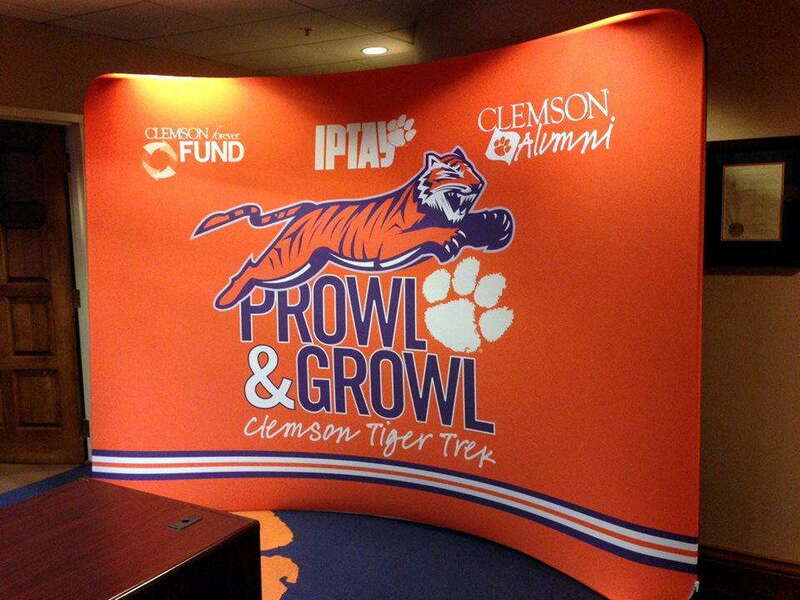 Banner stands: Retractable banners offer the total package. 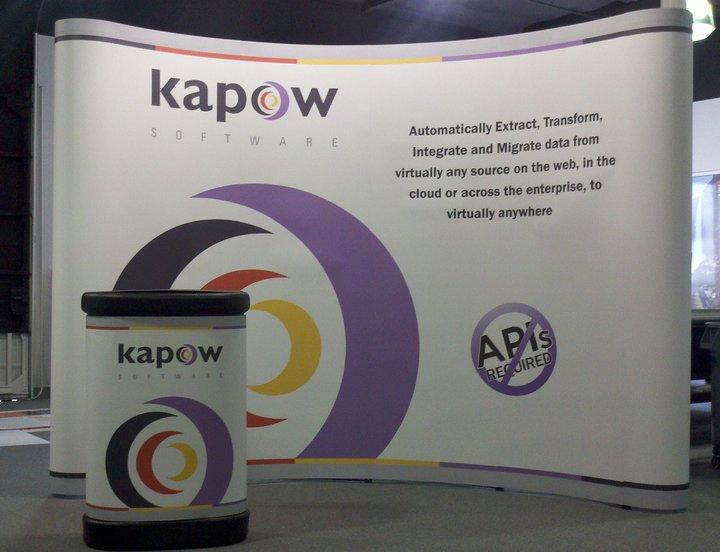 They’re portable, flexible and impactful, as their stands are available in a range of sizes, styles and models. Styles we offer include retractable, telescopic and spring-back. Our three models include economy, standard and premium. The banners themselves can be single- or double-sided. Hop ups: Hop ups are lightweight display kits that show large fabric graphics, which can display a variety of messages. 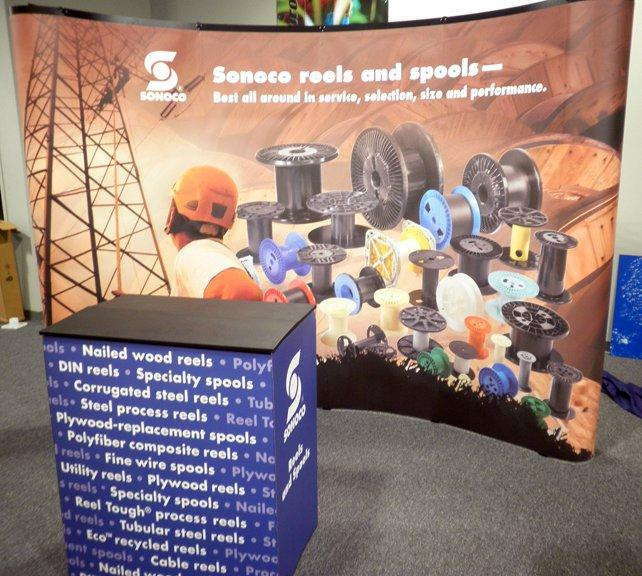 Available in a multitude of sizes, these branding elements can be used for trade show backdrops or tabletop displays. They’re tailor-made travel companions, as they require no tools and can be converted in seconds. Use carrying cases to move them around with ease. Table toppers: Your hop ups, retractable banners and tents will often be accompanied by tables, so ensure your brand’s solidarity with colorful covers and runners. Our round-table formats include fitted as well as stretch throw. For rectangular tables, we offer imprinted and convertible table throws. Other options include curved, multiple panel and multiple-level. Tents: If you’re looking to establish a home away from home, our branded tents should do the trick. They’re available in a variety of sizes, as well as three styles: inflatable, popup and tubular. Protect patrons from the weather while making a big statement with these marketing boons. Your displays can be equipped with even more options if you see fit, as we offer backlit graphics, pop up displays, kiosks, literature stands, directional signage and more. Just let us know what you want, and we’ll see what we can do! Add another layer to your branding strategy with a pop up trade show display that you can be proud of. If you’d like to visit our studio in person, keep in mind that it’s located on Moravian Valley Road, just off of Route 113 in Waunakee. Contact us today to set up your consultation with our team — we can’t wait to hear from you!